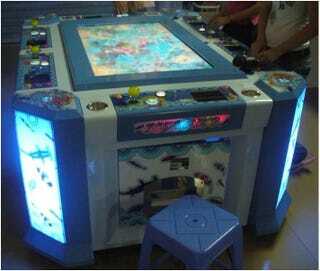 A Chinese woman was recently sentenced to 8 months in prison and fined 20000 RMB after being caught using fake game tokens at a public arcade. Zhang says she spent way too much money so when she heard about a website where she could buy custom game tokens for cheap, she "pounced" on the opportunity. Taking pictures of the tokens used at her local arcade, Zhang ordered over 30,000 tokens. Over the course of May to October, she spent the majority of her fake tokens. Eventually, her usage of tokens caught the eye of the arcade owner. He discovered that there were way more tokens in his arcade than the amount that the arcade started with.